easier to bend the leaves for wrapping). 3. In a bowl or using a food processor, mix the garlic, ginger, mustard, lime juice and olive oil. Mix until properly combined. 4. Place a collard leaf on a plate and layer red pepper, cucumber and avocado slices, alfalfa sprouts, grated carrots and drizzle a tablespoon of dressing over it. 5. Fold over the top and bottom and then wrap up the sides. Slice in half and serve. Got through the smoothie all day with loads of water and detox tea. As this was an unofficial detox day, I had dinner – baked salmon with mixed vegetables (broccoli, carrots, baby corn and green beans) topped with garlic, lime and herb dressing (home-made of course)! I’m so glad I did an additional day of detox even if just to prolong the benefits a bit longer. But that’s not where I’m going to stop – I’m now more focused on my eating habits and lifestyle, and more aware of what I do and what my body needs. Whatever detox program you adopt, always be careful with it and listen to your body. Be aware of good changes to adopt, and changes that don’t work for you, just let go of them. You will reap such awesome benefits in the long run. Really wanted to improve my skin as it was looking all dry and also to get some good fats in, this is why I threw in the avocado. 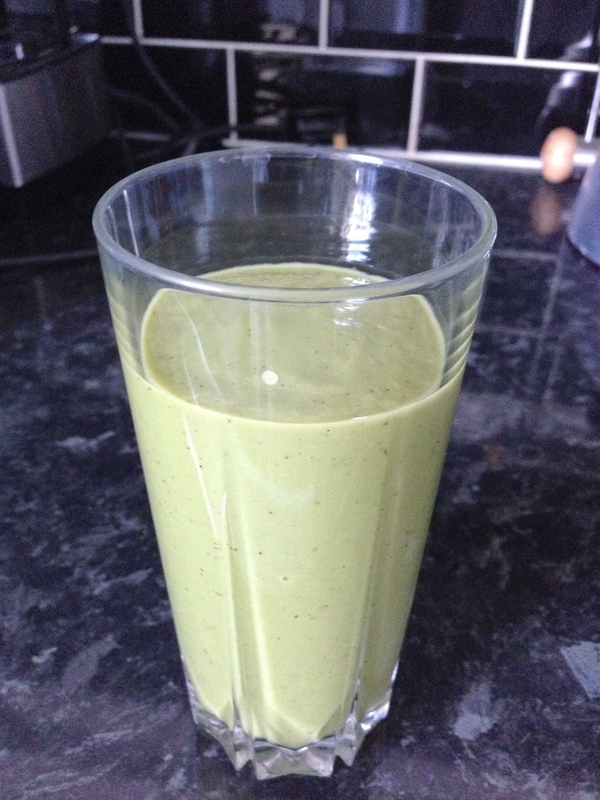 This of course all goes into a blender, cannot juice avocado – very bulky smoothie (add water to thin it out a bit). Because the migraine was lingering a bit, decided to have a salad earlier than I would have and besides I was catching up with a friend I hadn’t seen in what felt like forever (only a few weeks! ), so went to lunch and was very good and had only the salad and loads of water. That seemed to get rid of the migraine totally, got home and carried on with my smoothie, water and green tea. Day 3 over and done with, woohoo!! So what was supposed to be a 3 day detox turned into four days. Woke up the next morning and felt really good and decided to carry on with my detox for one more day. So what do the new ingredients parsley, pear and kiwi do for you? Parsley: is one herb that is usually just used for garnishing food. It is rich in carotenoids, chlorophyll, calcium, Vitamins A, B, C and iron. Parsley is known for its blood-cleansing and healing properties. It is a strong diuretic, anti-inflammatory and a powerful antioxidant. Parsley neutralizes toxins in your liver, inhibits abnormal cell growth (preventing tumours and cancers), and boosts the immune system. 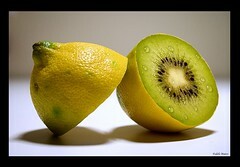 Kiwis have similar properties to bananas, as well as contain vitamin E which helps improve skin radiance. They also help cleanse and energize our bodies. Pears are an excellent source of soluble fibre and contain vitamins A, B1, B2, C, E, folic acid and niacin. They are also rich in copper, phosphorus and potassium. The high vitamin C and copper content act as good antioxidants that protect cells from damage by free radicals and are critical in building the immune system. Towards the end of the second day, I started getting the sore gums. Not quite sure why this happens but it always does. Guess it’s the body’s way of letting you know it’s awake and responding to the detox! I would usually add some spices and chilli to the salsa but as its part of the detox plan, only using herbs and honey that have a detox benefit. Put all the ingredients except the chicken and half the coriander and oil, in a bowl. Add the honey and lime juice. Toss all together and refrigerate for about 30 minutes. Marinate the chicken in the remaining oil and chopped coriander, and grill (you can bake in the oven if preferred). Serve the chicken when ready with the tomato salsa. 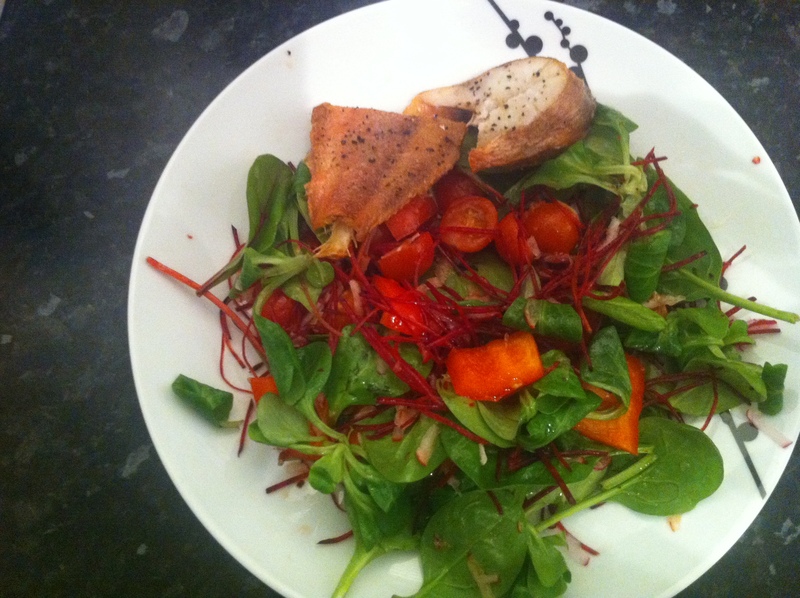 Simple salad and dressing which you can make yourself, or get a bag of your favourite salad from the stores. Baste the fish with the olive and season with the black pepper, bake in the oven for 15 minutes or until cooked (or you could steam if you prefer). Place the salad ingredients on a plate or salad bowl. Add the extra virgin olive oil and lime juice, and toss. 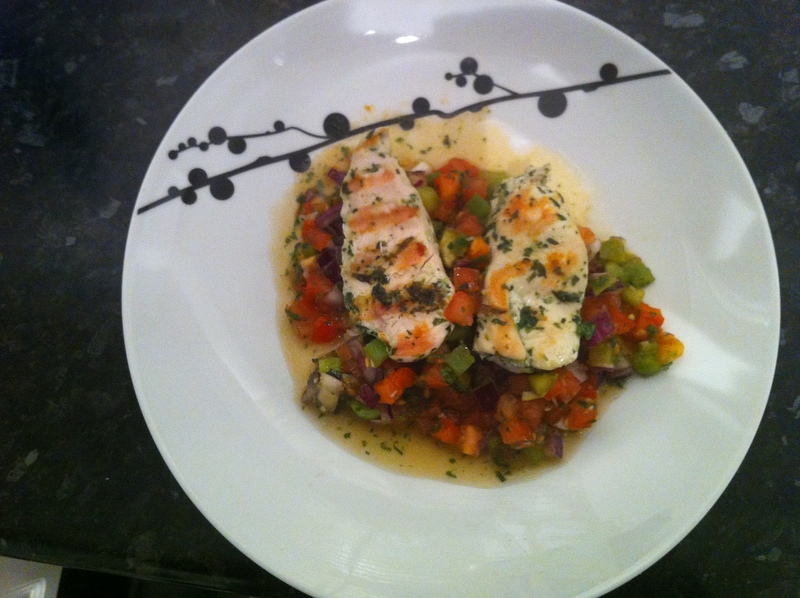 Add the fish when cooked, enjoy. Remember this is part of the detox programme; we wouldn’t want to add a lot of seasoning to the dressing, just keep it simple and natural to get the full benefits of the detox. This juice will help cleanse your liver, kidneys and digestive system, and give them the well needed break from being over-worked breaking down processed foods. 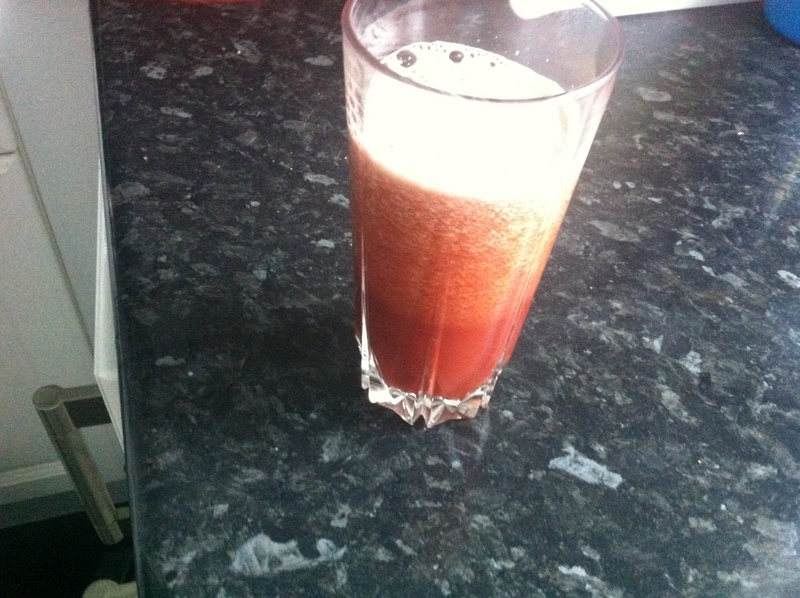 Juice the lot in a juicer or blender and enjoy. Cucumber: is a very good source of vitamins A and C, and folic acid. The skin is rich in fibre and a variety of minerals including magnesium and potassium. Cucumber is a top choice as a diuretic. It can help control constipation, stomach disorders and acne. The high water content, combined with its ability to balance acid, helps reduce disorders and ailments that may be a cause of over production of various acidic compounds. Celery: is high in vitamin A, B1, B2, B6 and C, and ample supply of potassium, folic acid, calcium, magnesium, iron and essential amino acids. Celery helps flush the body of excessive carbon dioxide and reduces acidity. There are two types of parsley – curly or flat Italian parsley which have the same healing properties. The Italian variety tends to have more flavour and best used in cooking with other strong flavours. Curly parsley can be more bitter. I tend to use the flat leaf parsley. Beetroot are a very good source of calcium, iron, Vitamins A and C and are an excellent source of folic acid. They are a very good for cleaning the bloodstream and cleansing the liver and kidneys. Also nature’s blood builder and strengthens the immune system. Apple juice helps soothe the intestines and reduce constipation. It helps clean out harmful bacteria and parasites in the digestive tract. Apples contain vitamins A, B1, B2 and C, calcium, magnesium, phosphorus, potassium and iron. The pectin in apples forms a gel in the intestine that eliminates toxins. DARE TO BE HEALTHY IS CHANGING! 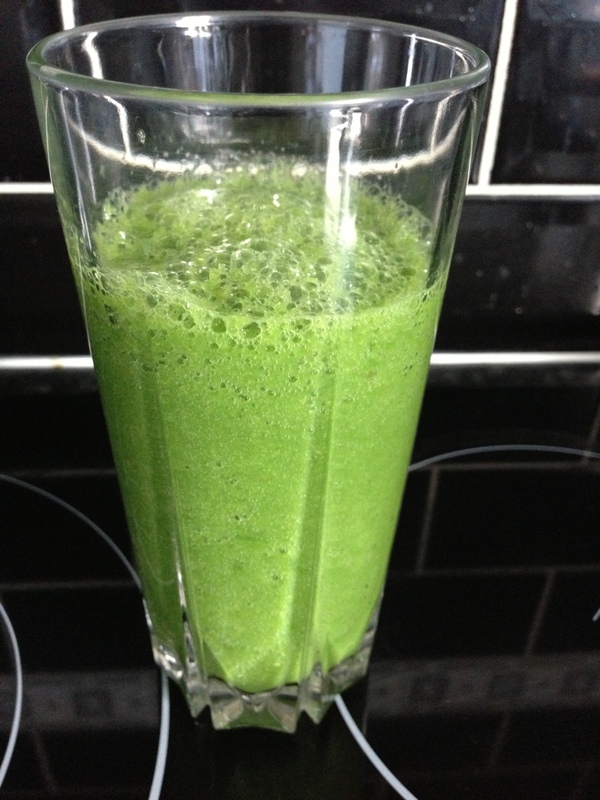 Vitamix – My new awesome kitchen appliance!